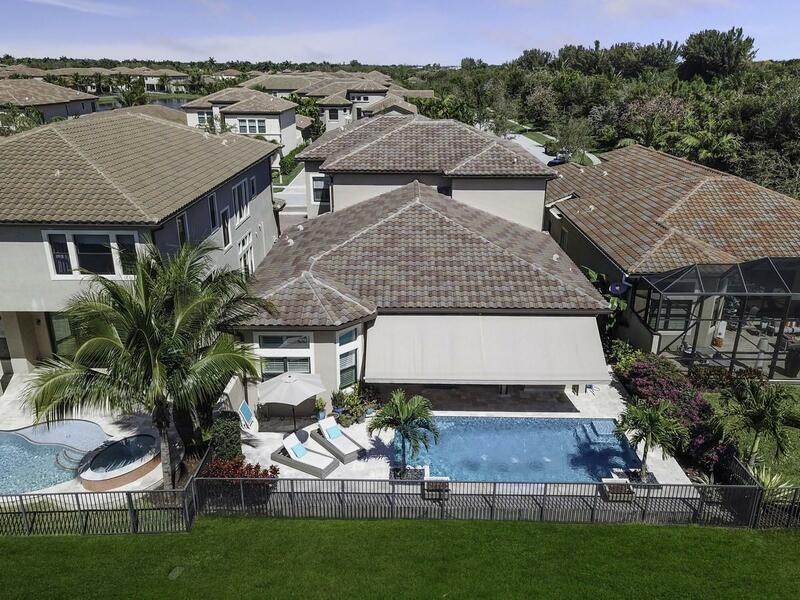 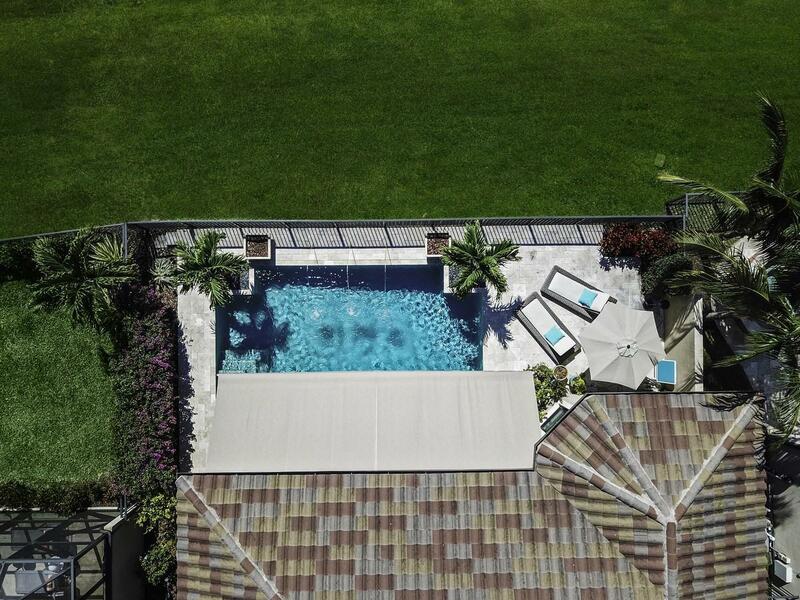 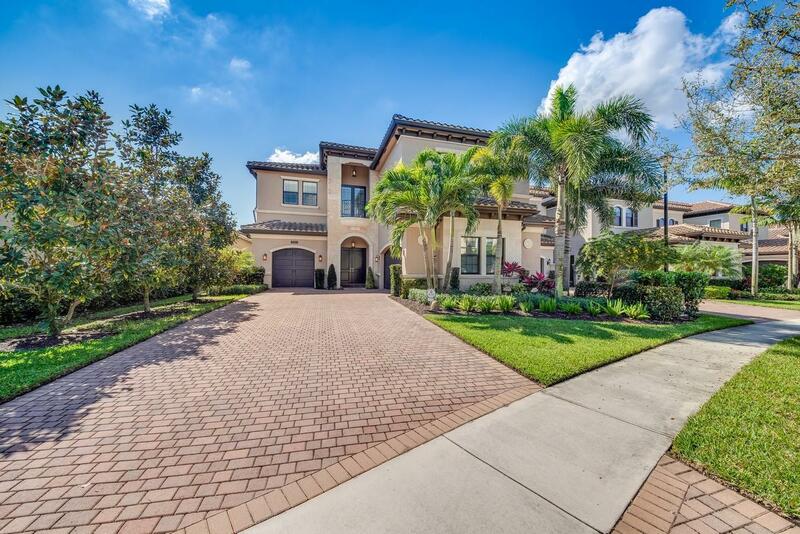 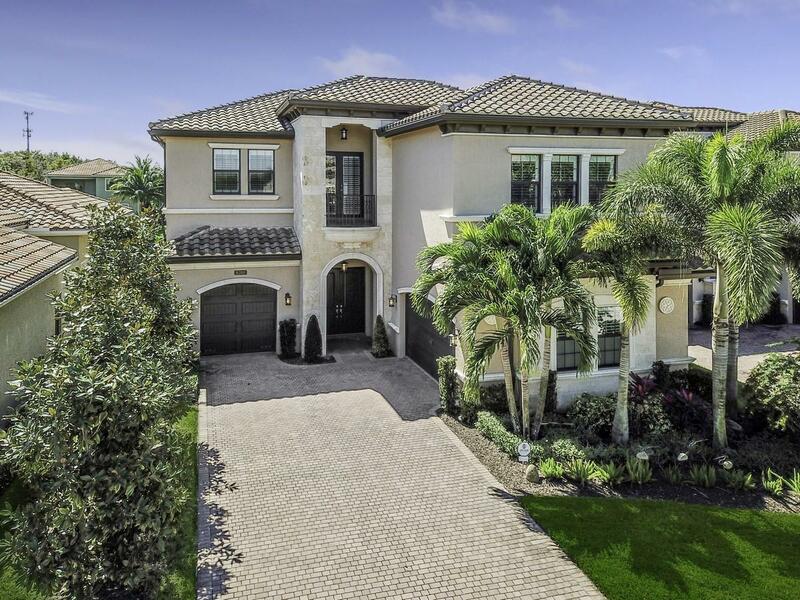 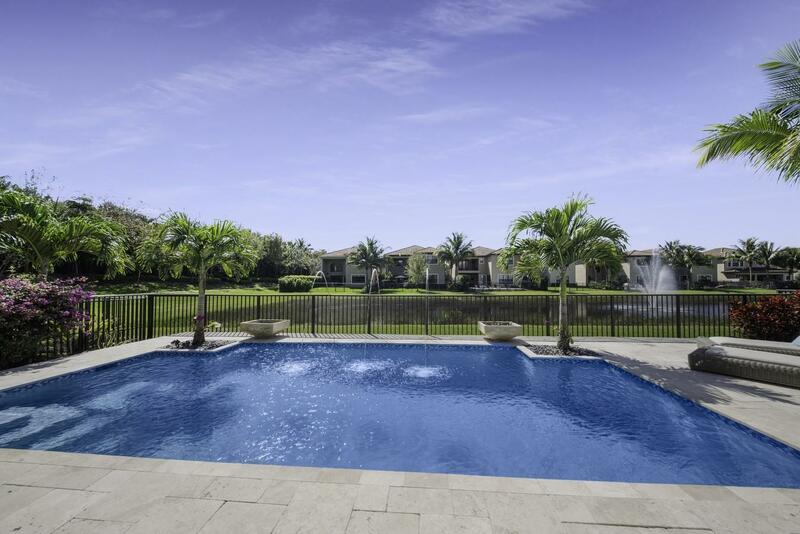 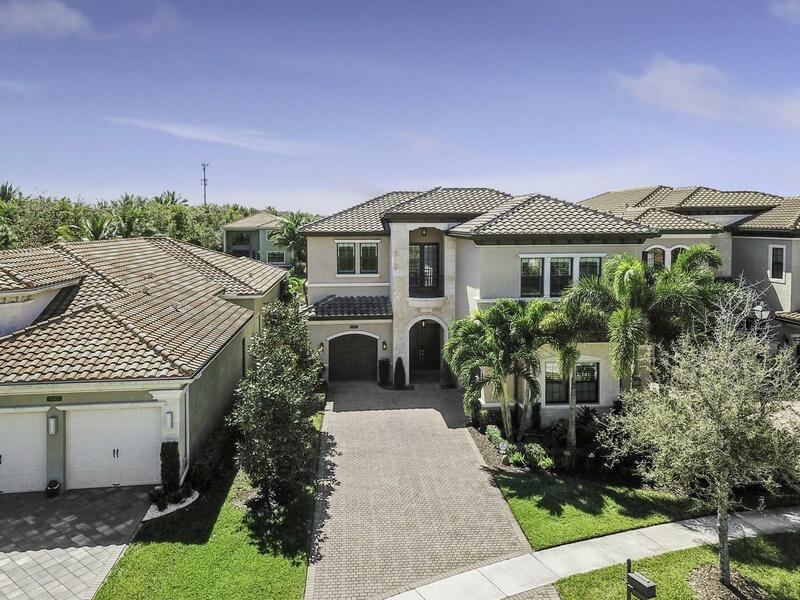 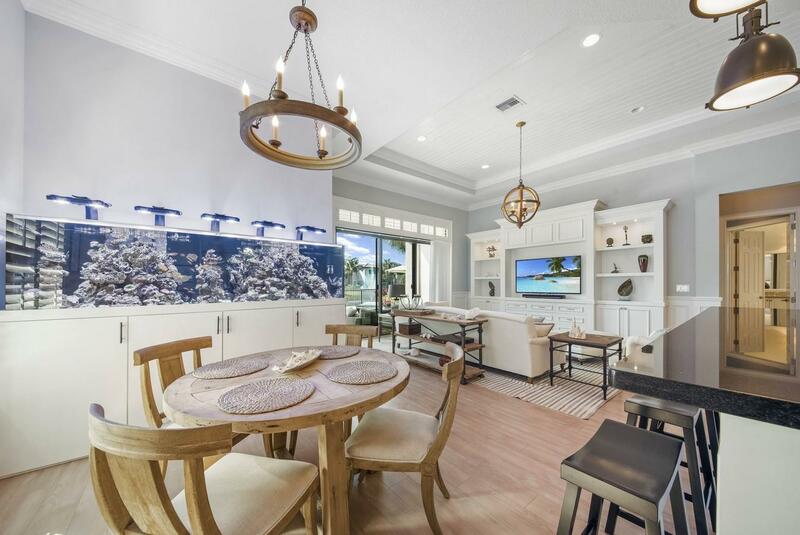 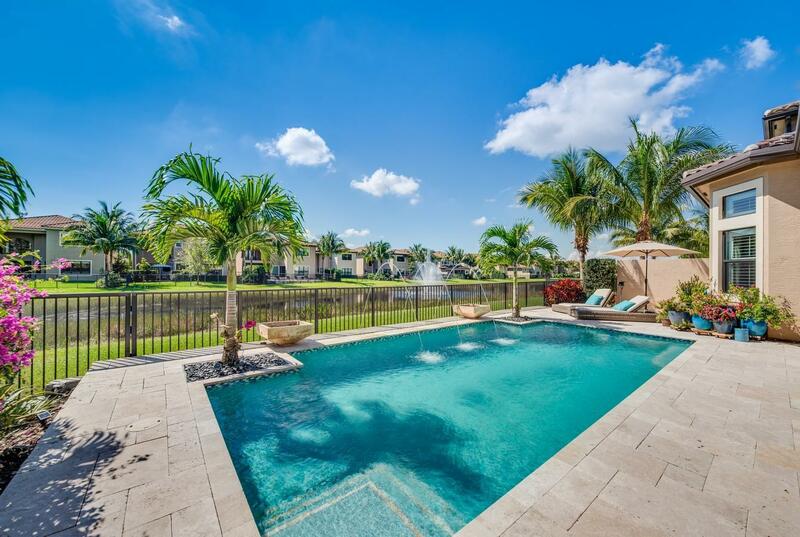 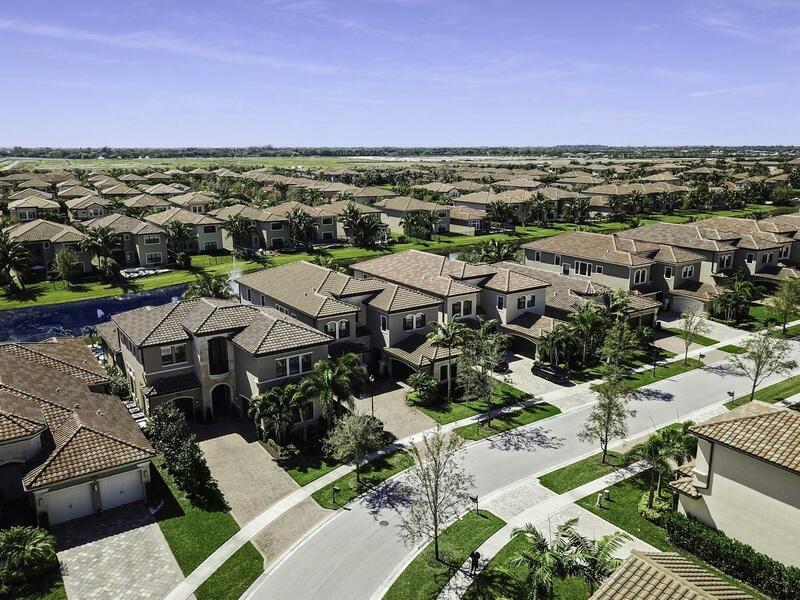 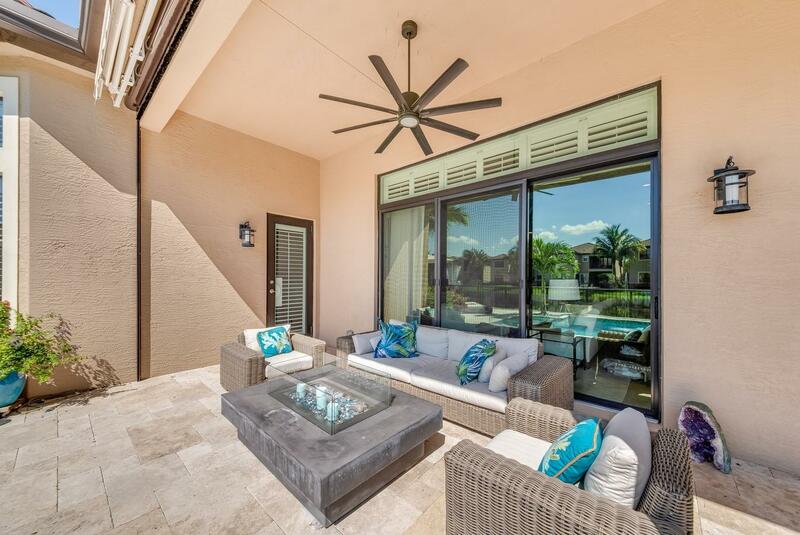 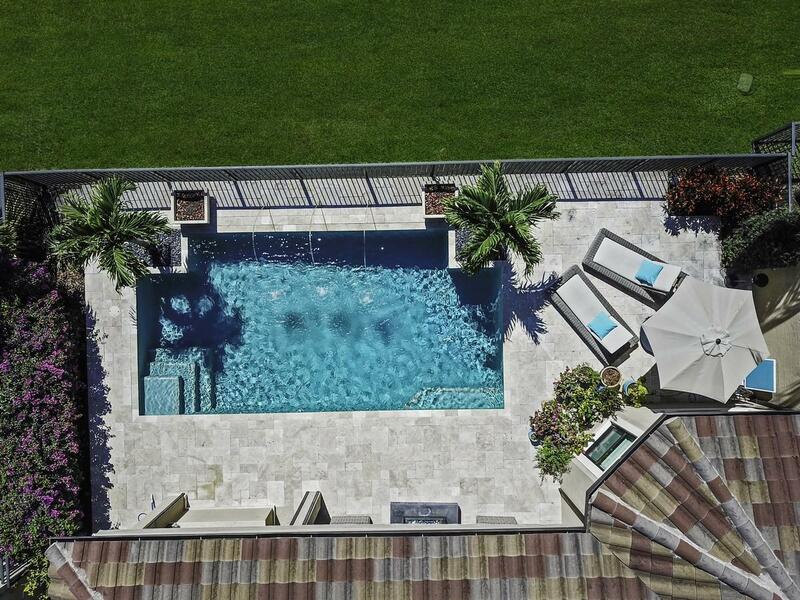 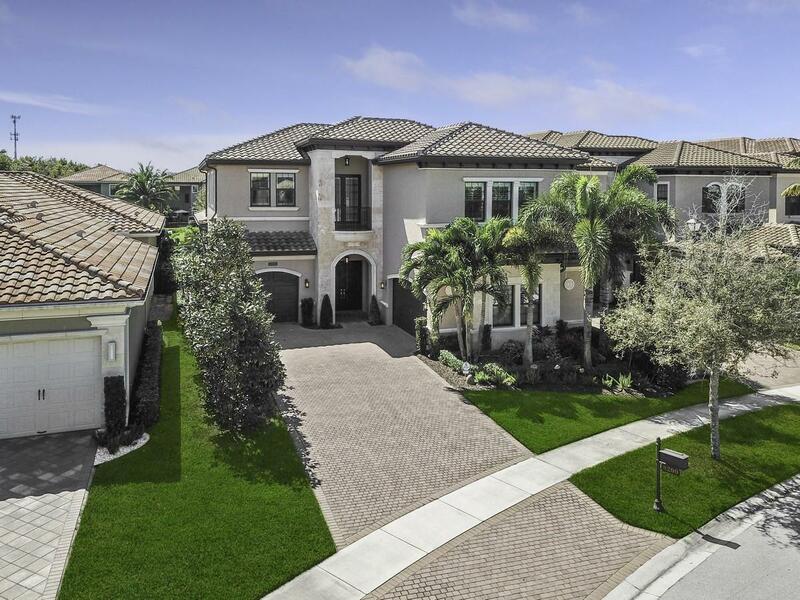 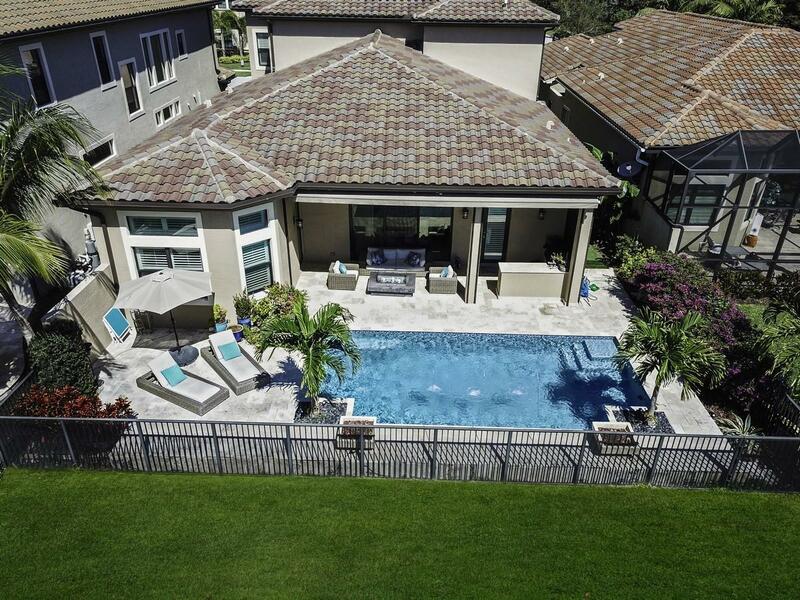 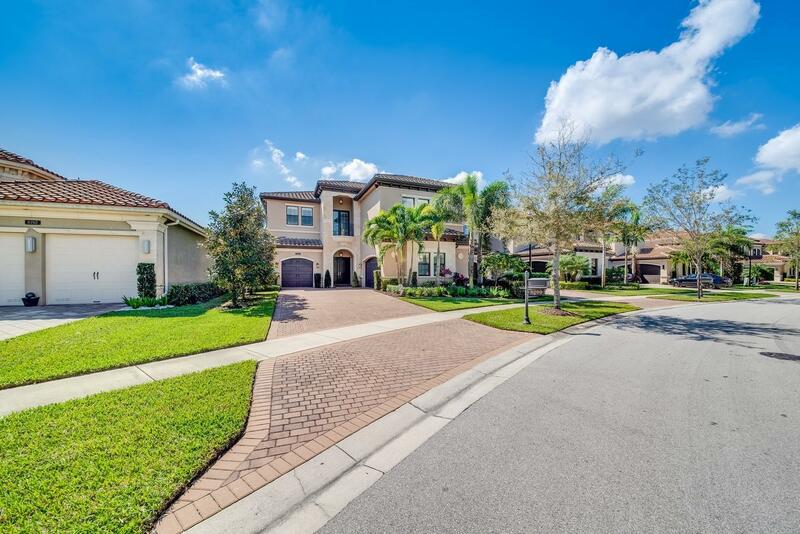 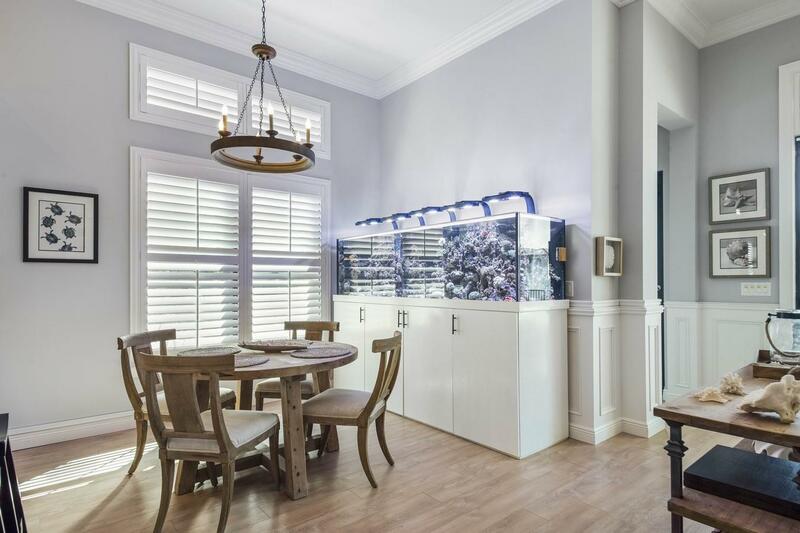 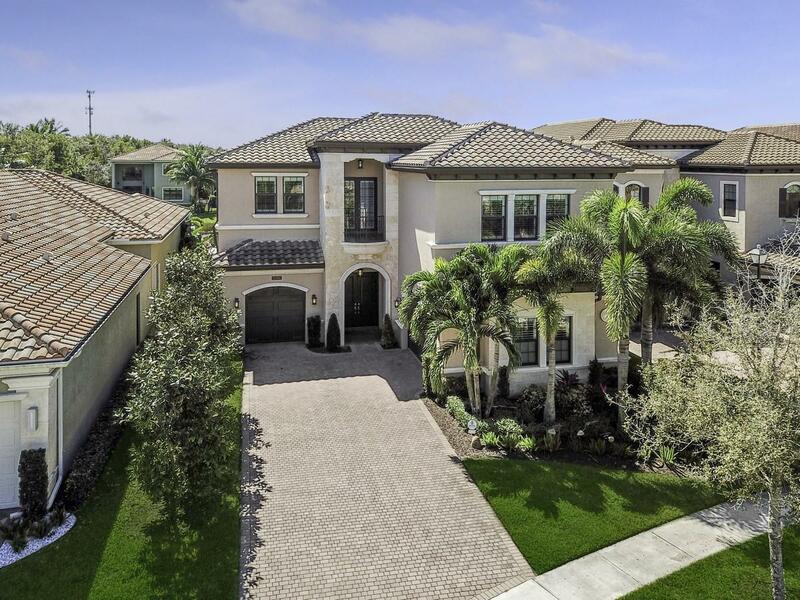 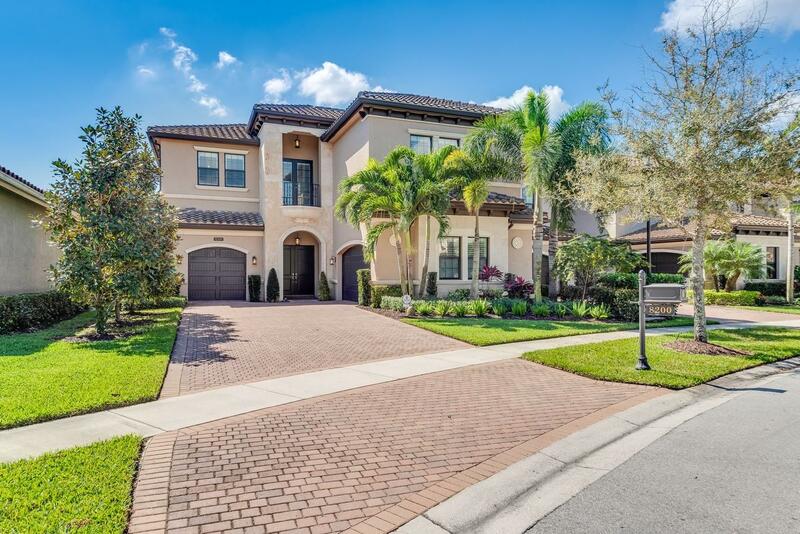 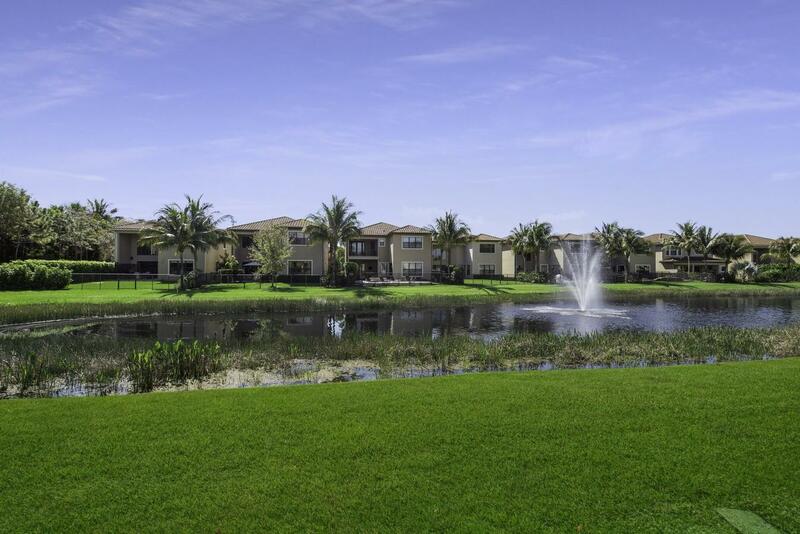 Dreams of a private tropical sanctuary are realized in this exquisite Vizcaya model home. 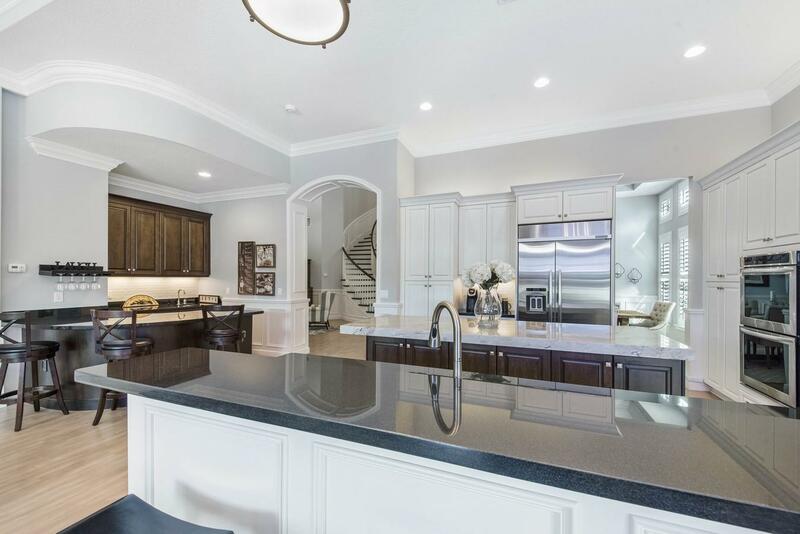 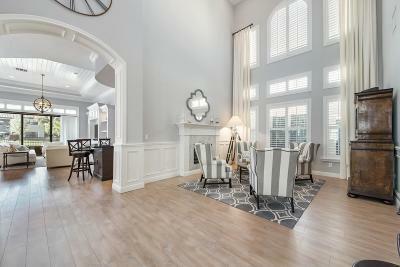 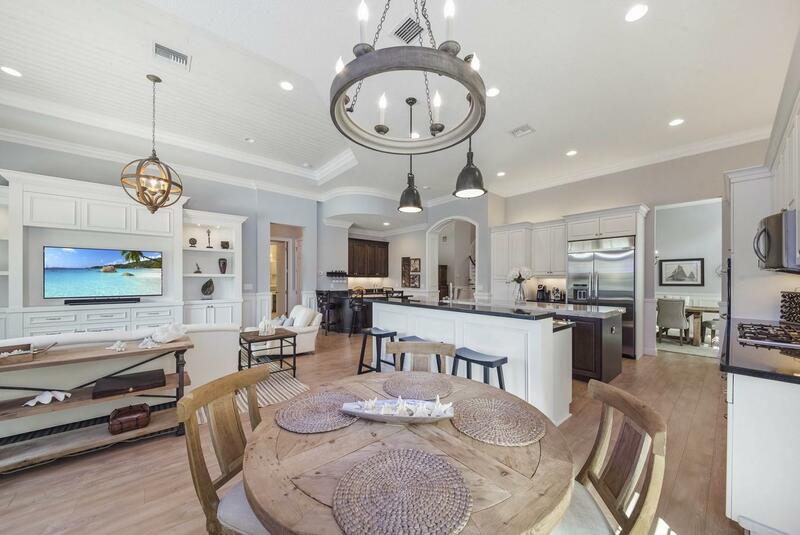 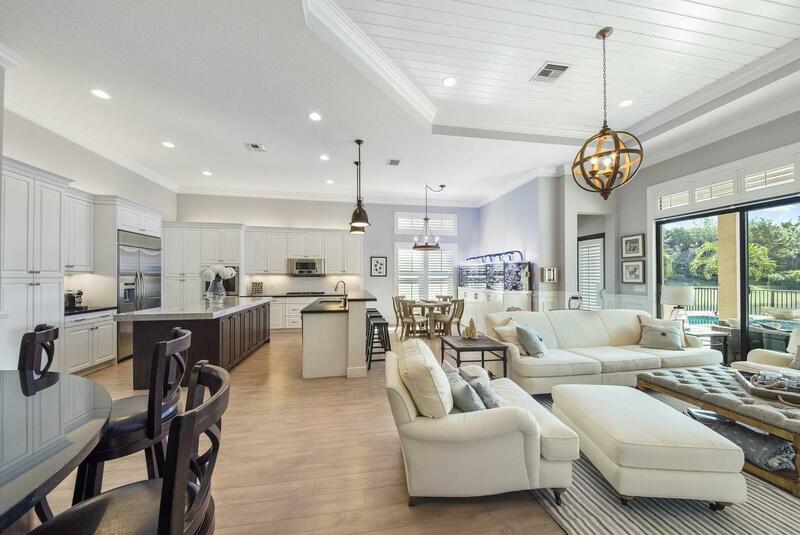 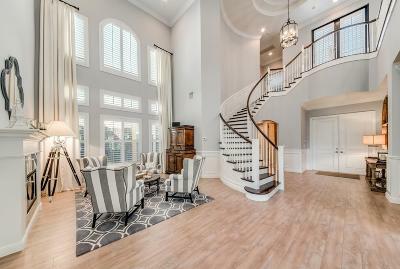 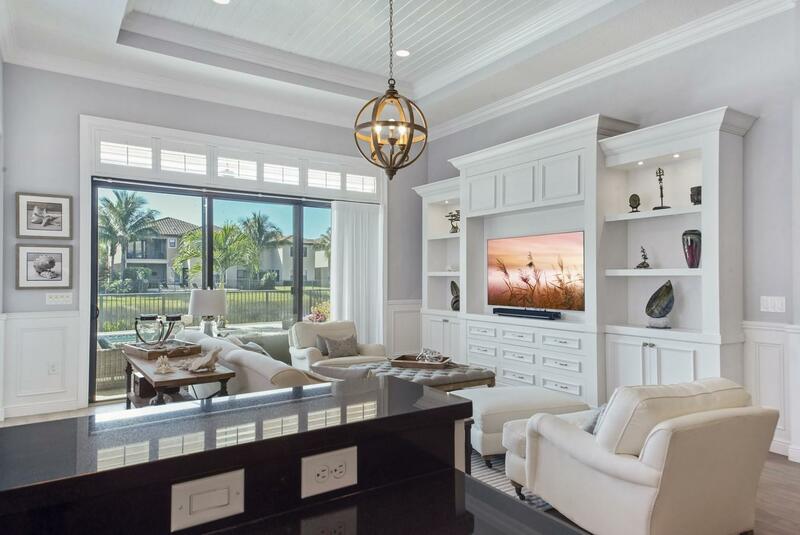 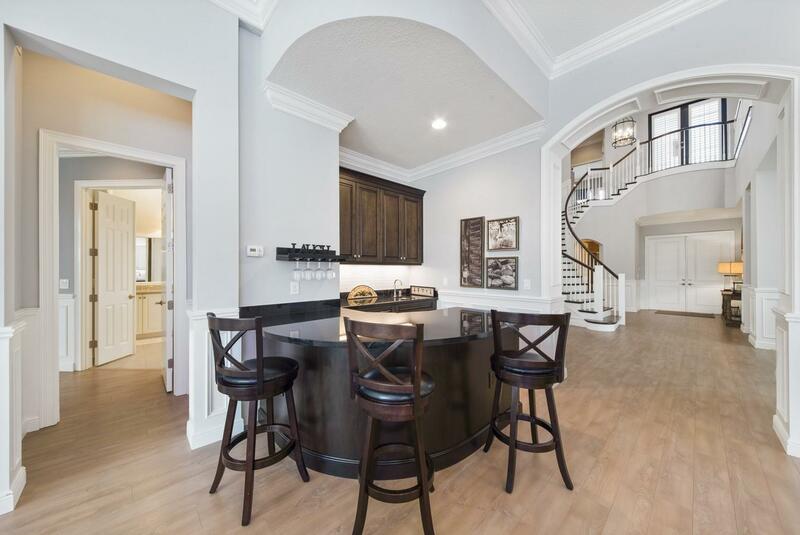 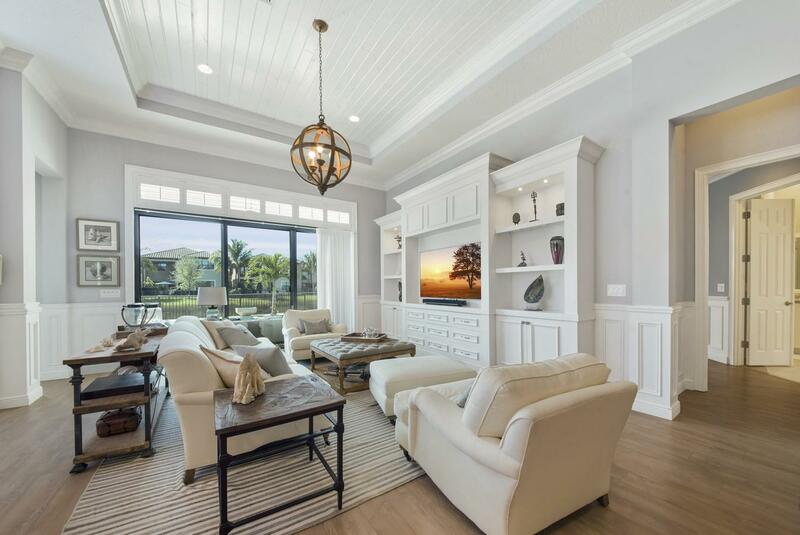 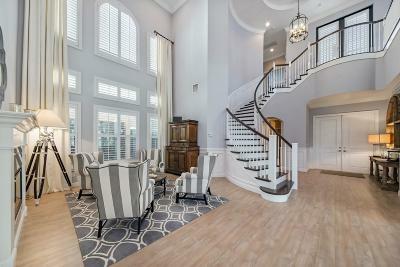 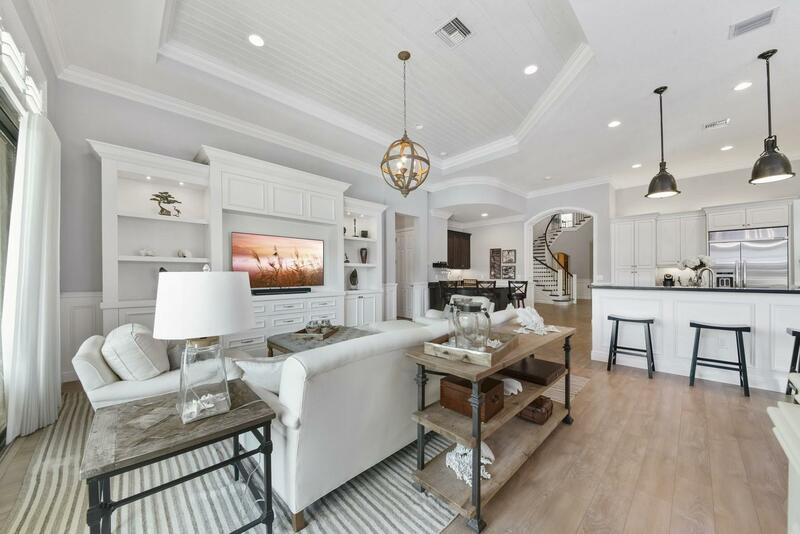 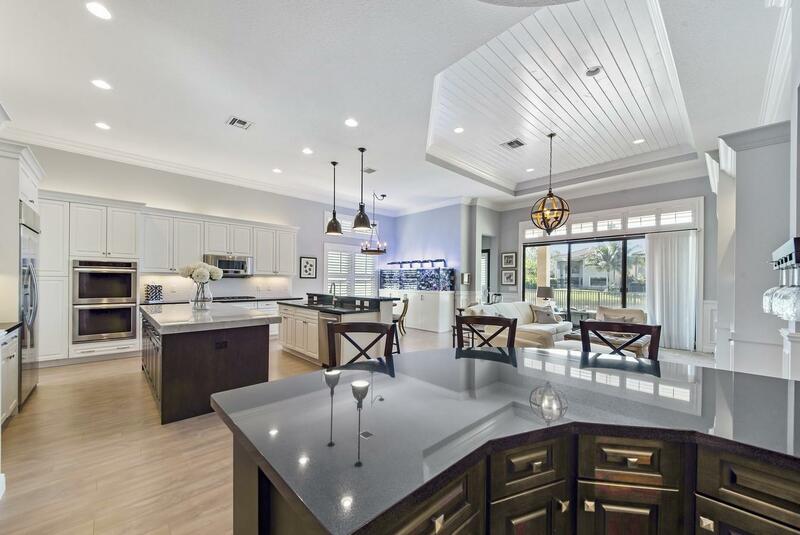 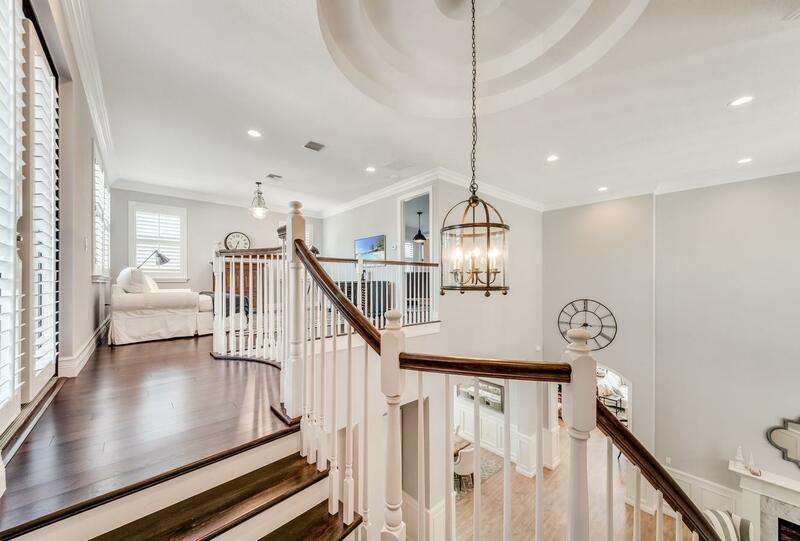 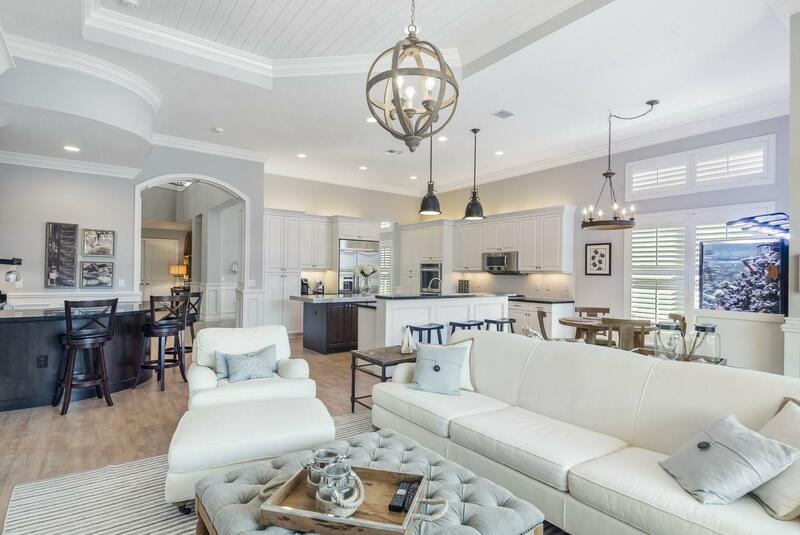 The open floorplan creates a feeling of relaxation with a sense of understated elegance with a dramatic 2 story ceiling in the formal living room and a kitchen that flows into the family room. 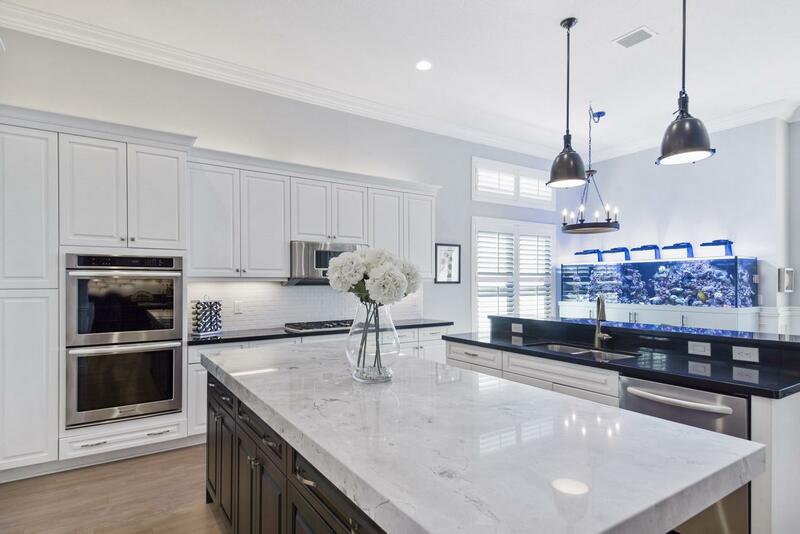 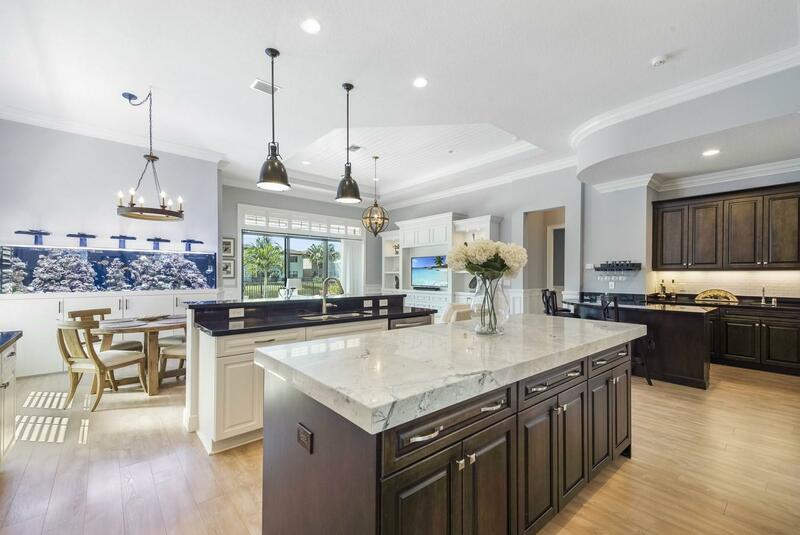 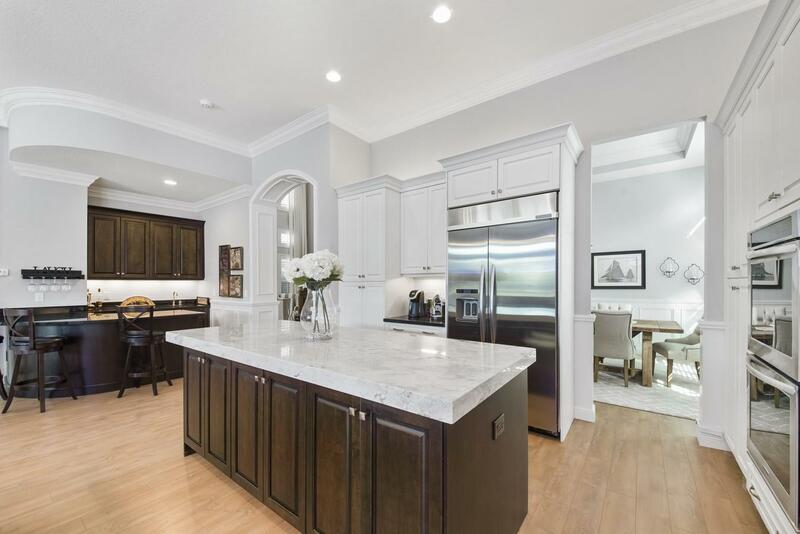 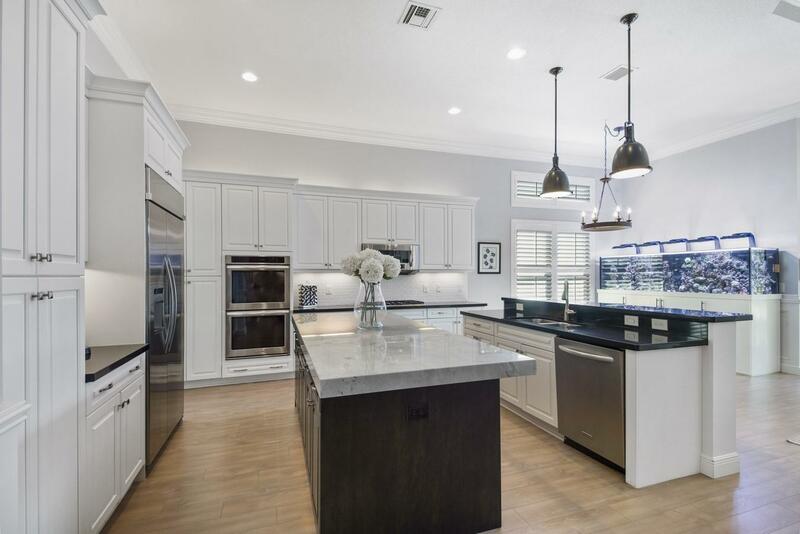 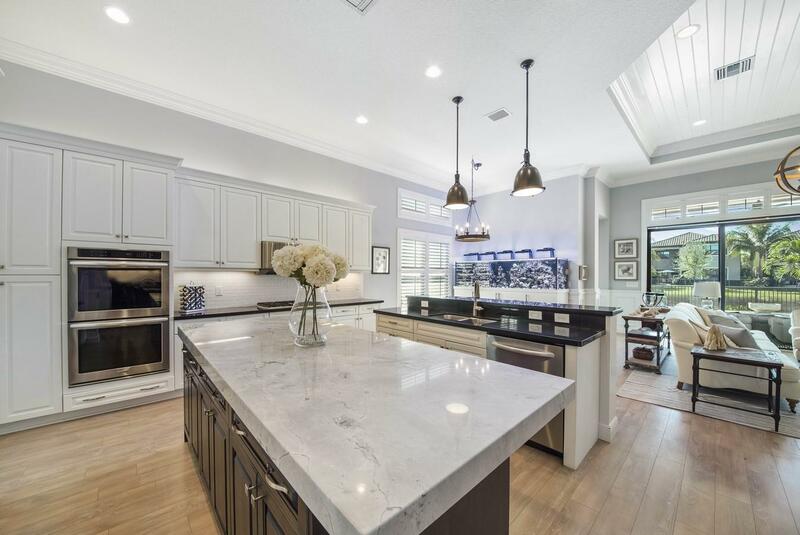 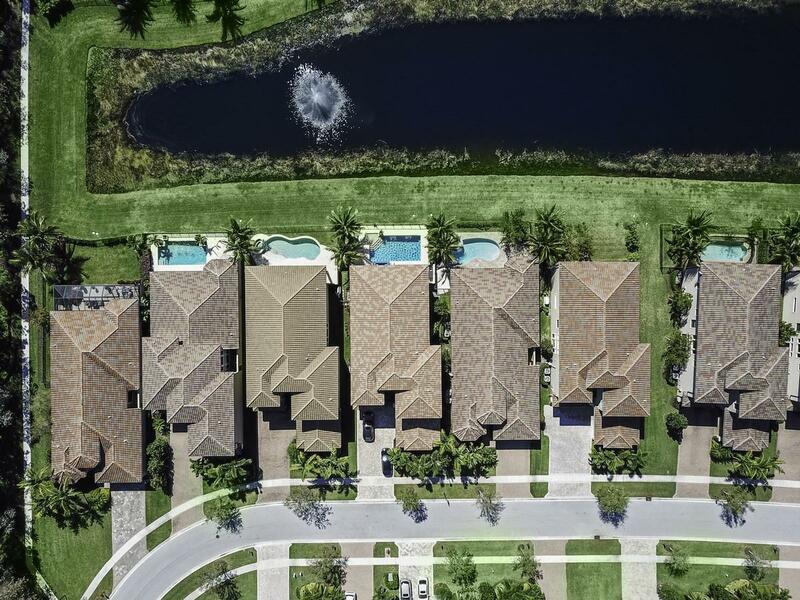 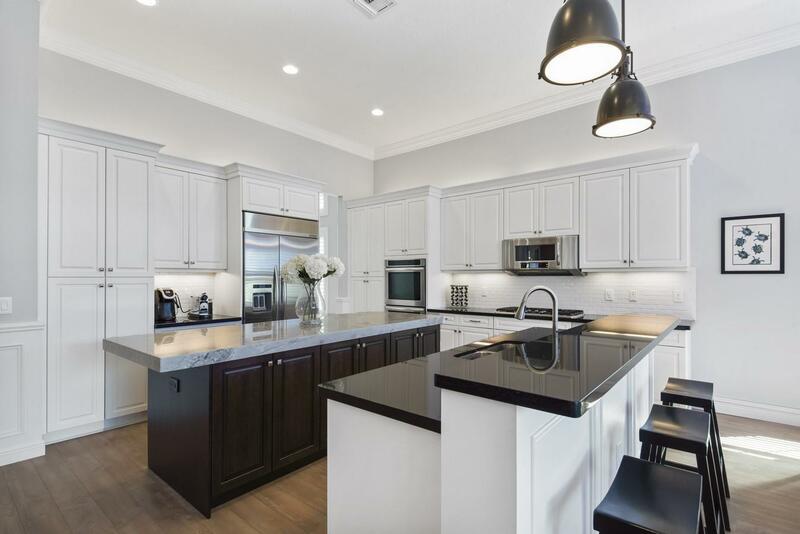 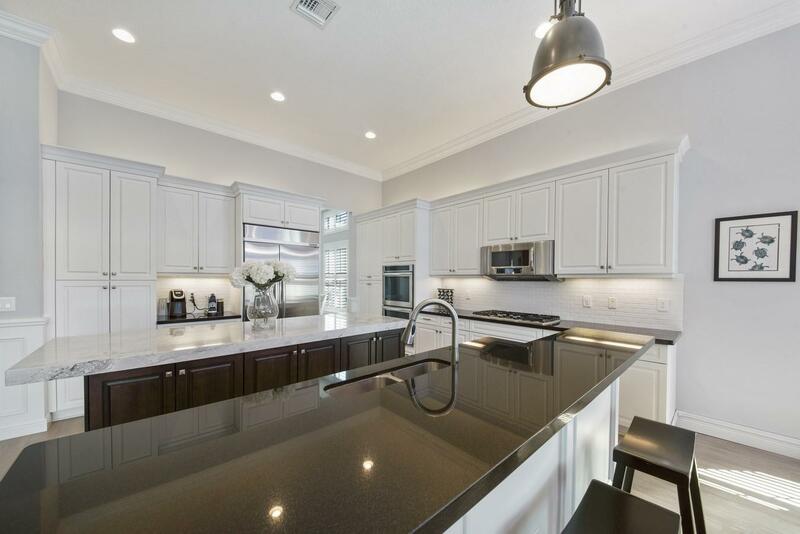 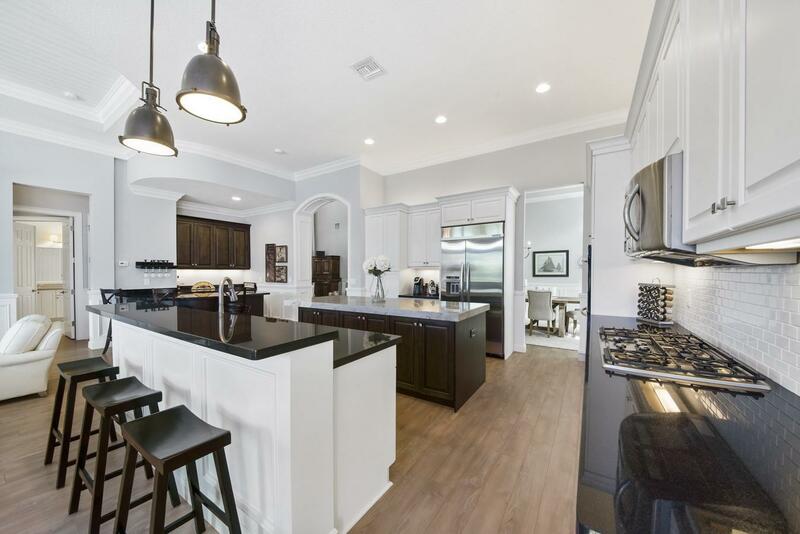 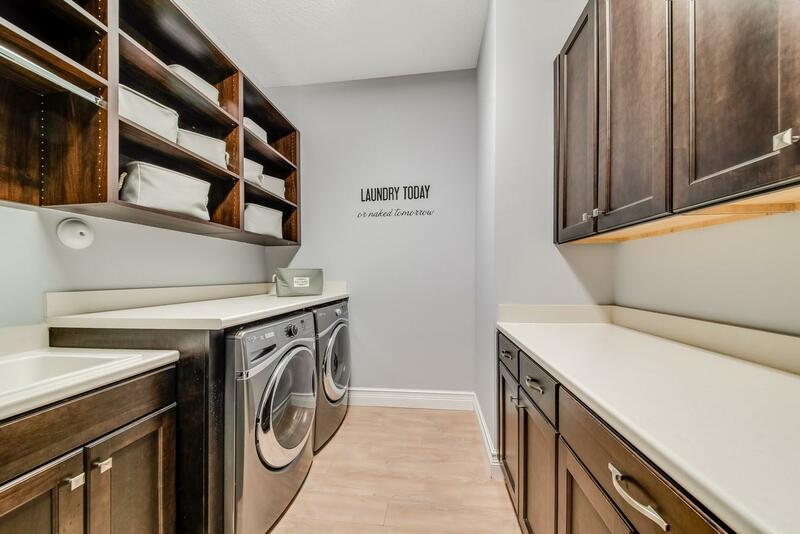 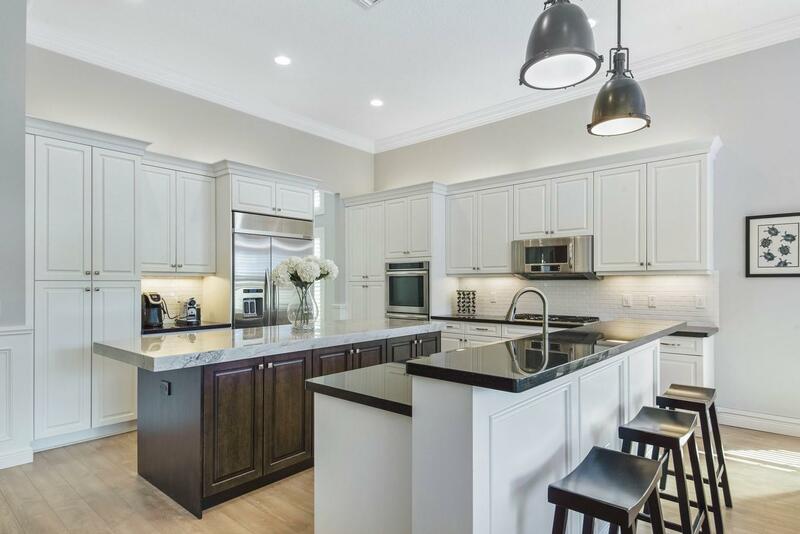 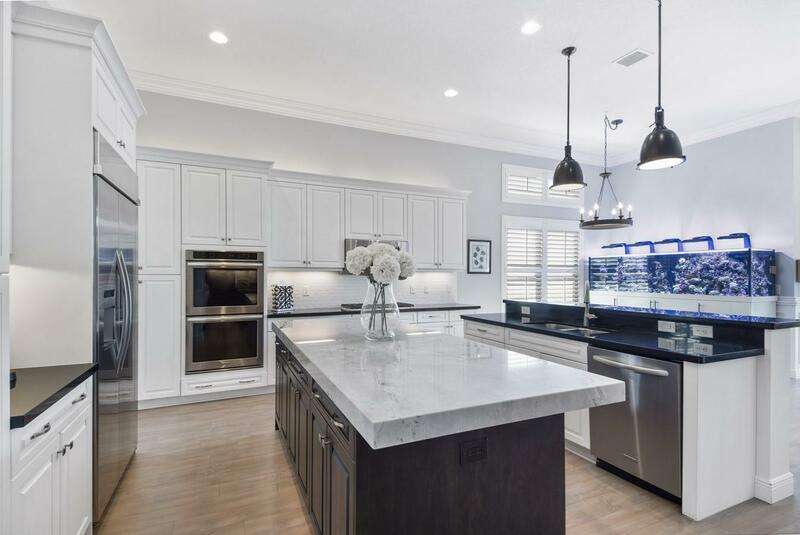 Stunning chef's kitchen with quartz countertops, subway tile backsplash, top of the line stainless steel appliances, a center island, snack bar, wet bar and a breakfast nook. 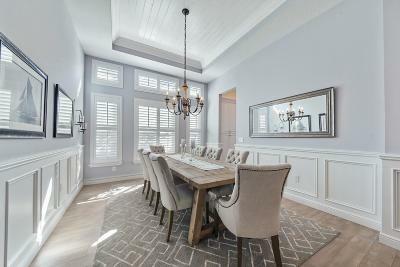 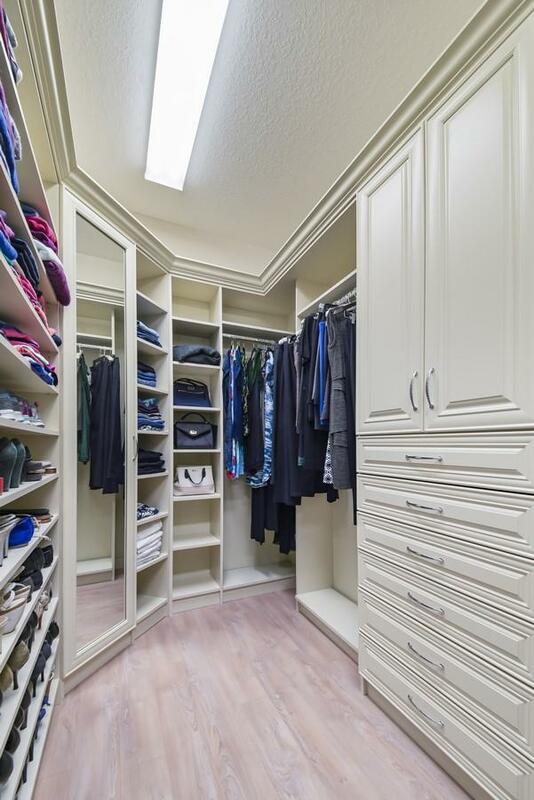 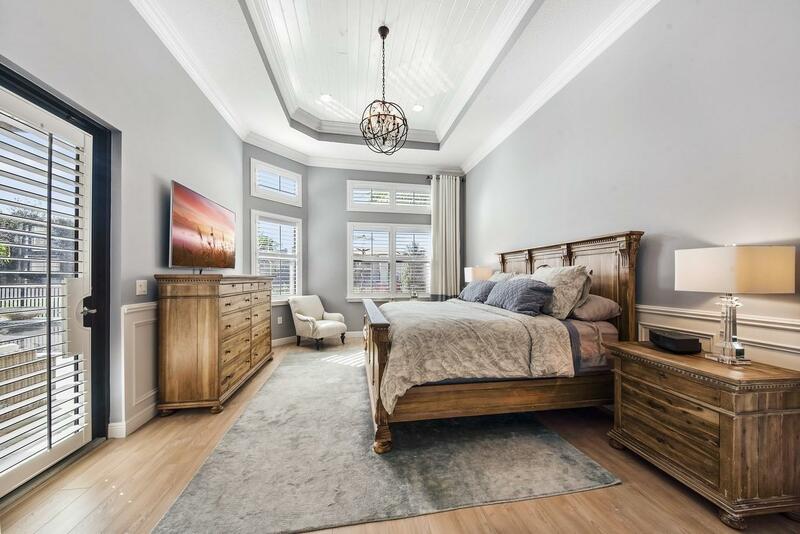 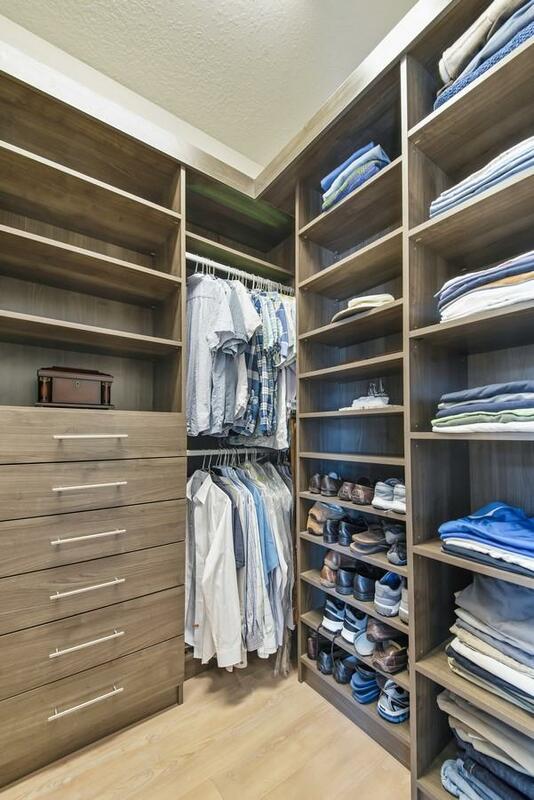 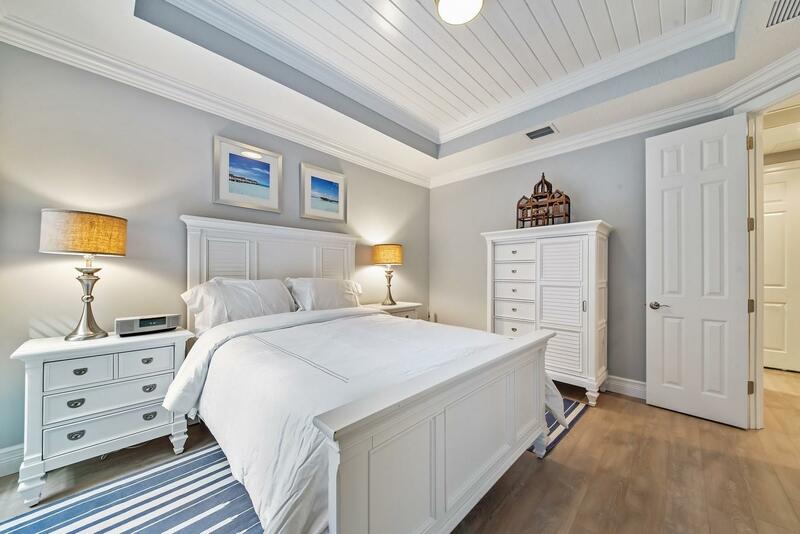 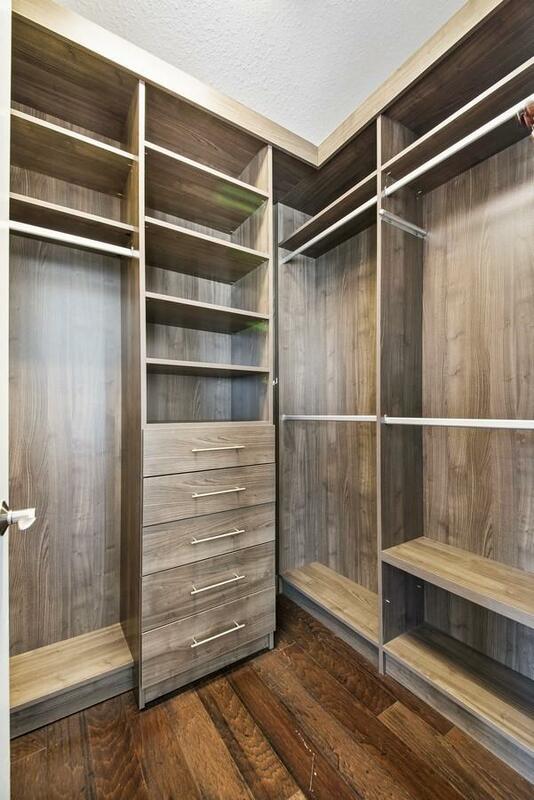 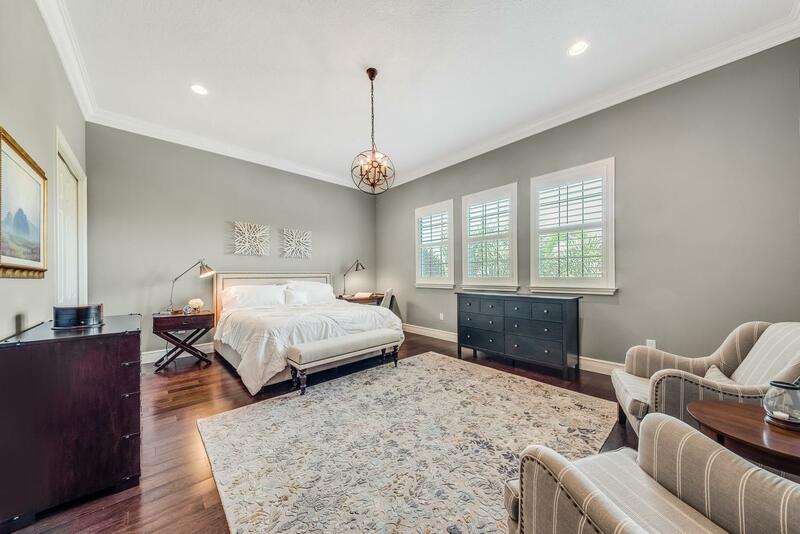 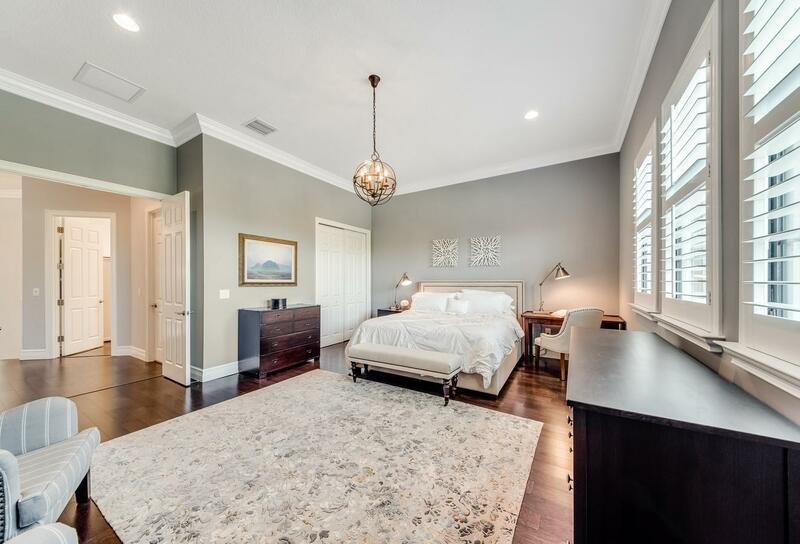 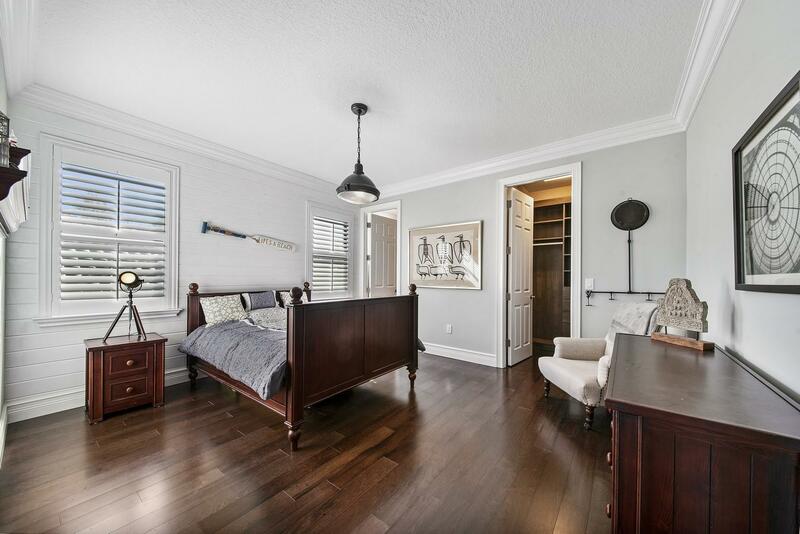 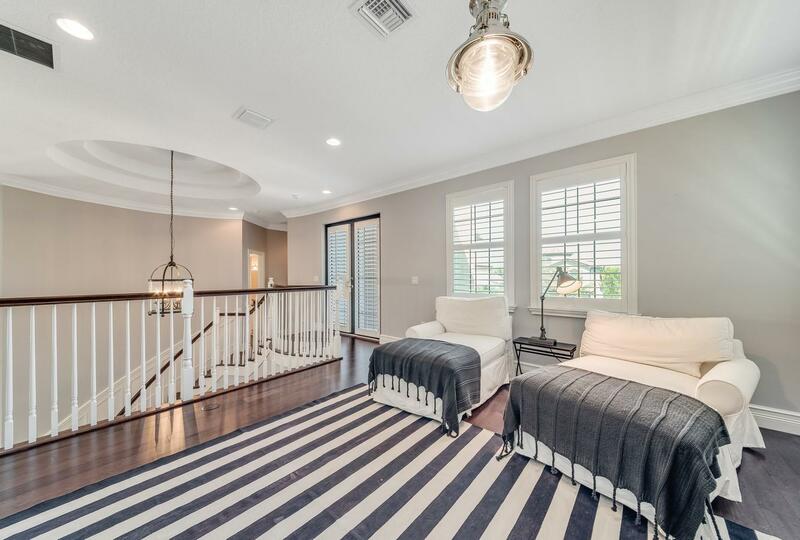 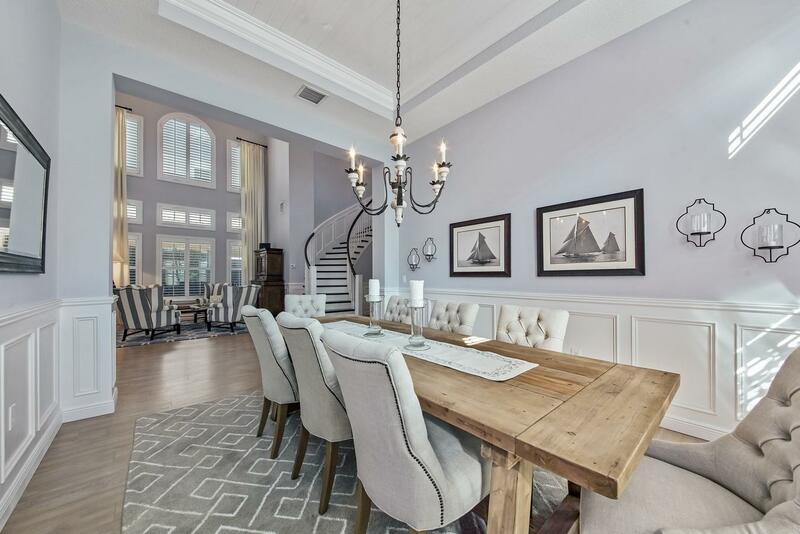 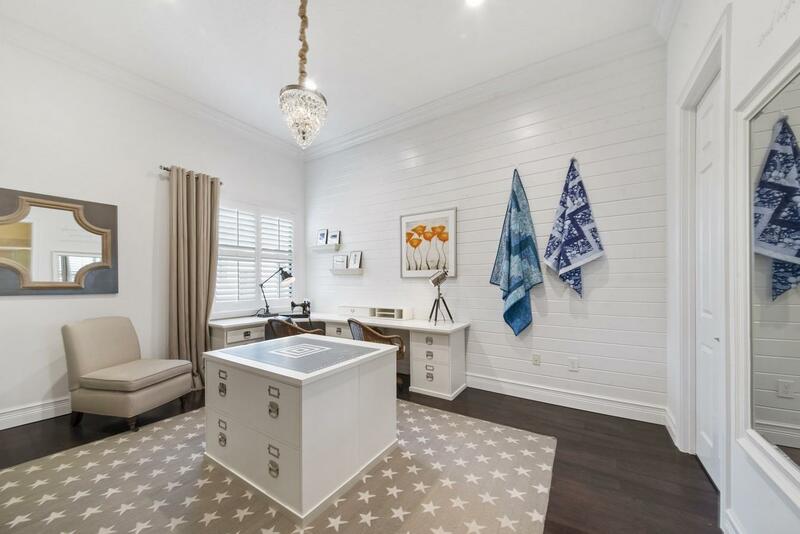 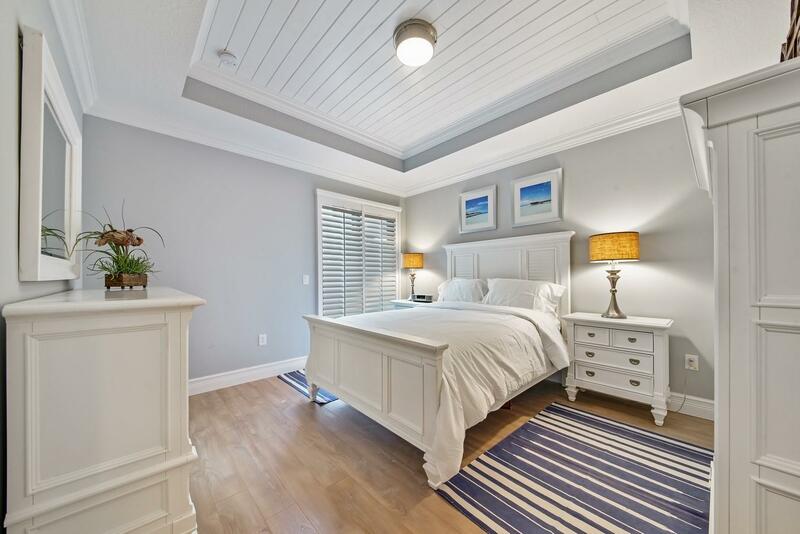 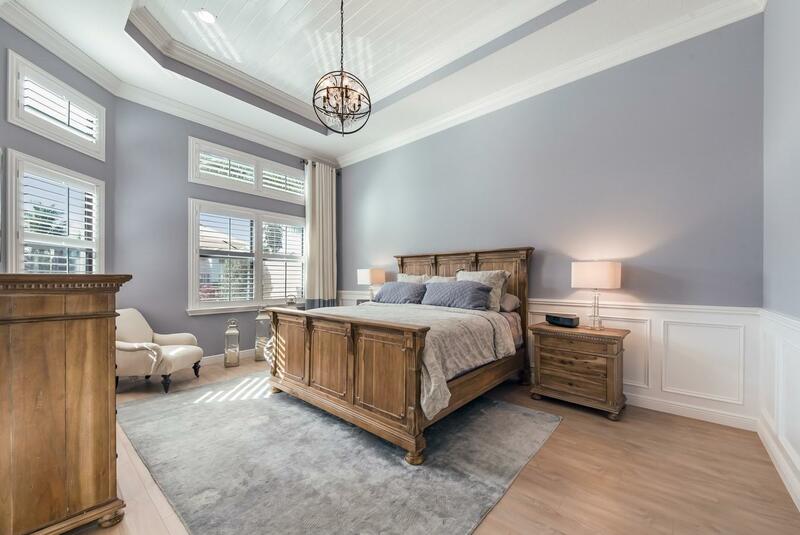 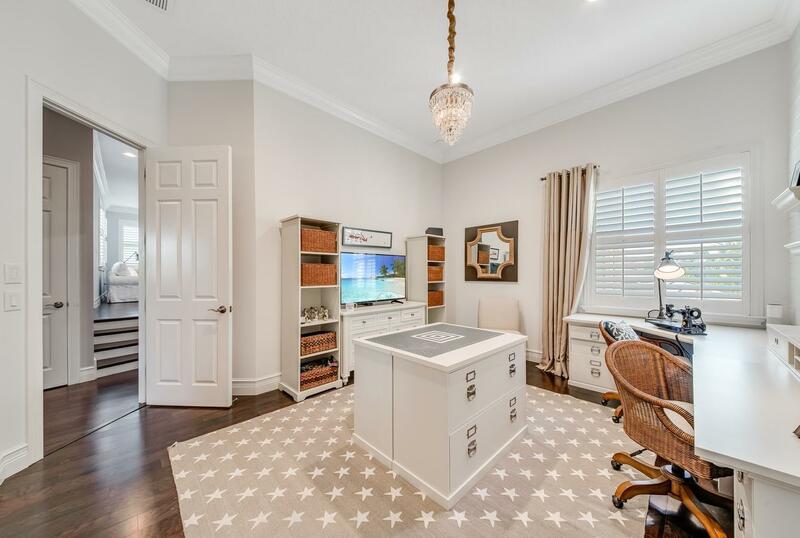 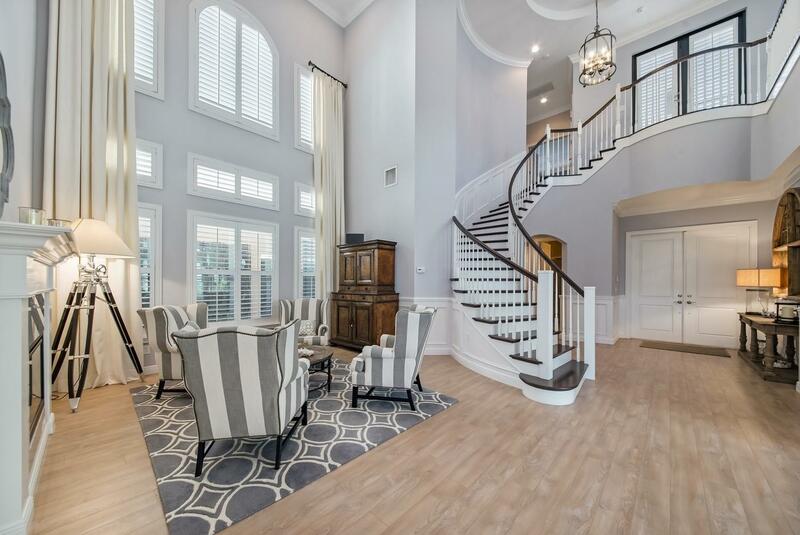 Opulent master retreat features a coffered ceiling, a door to the patio and custom his and hers walk-in closets. 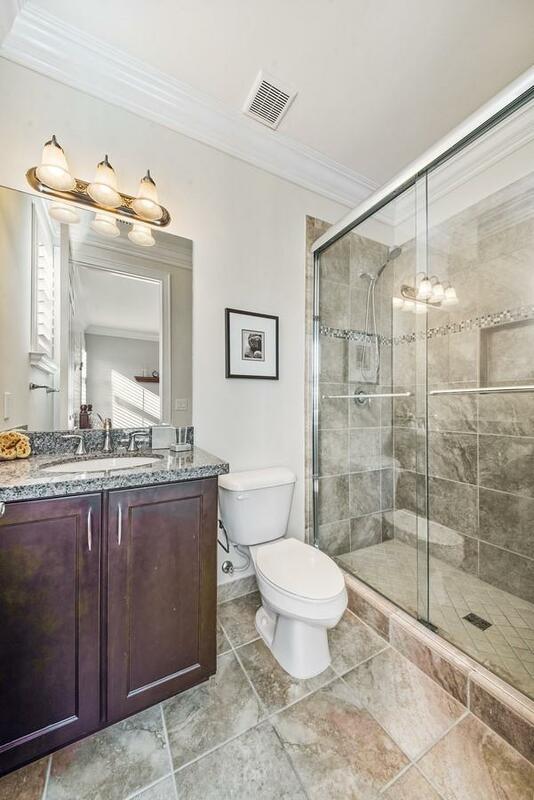 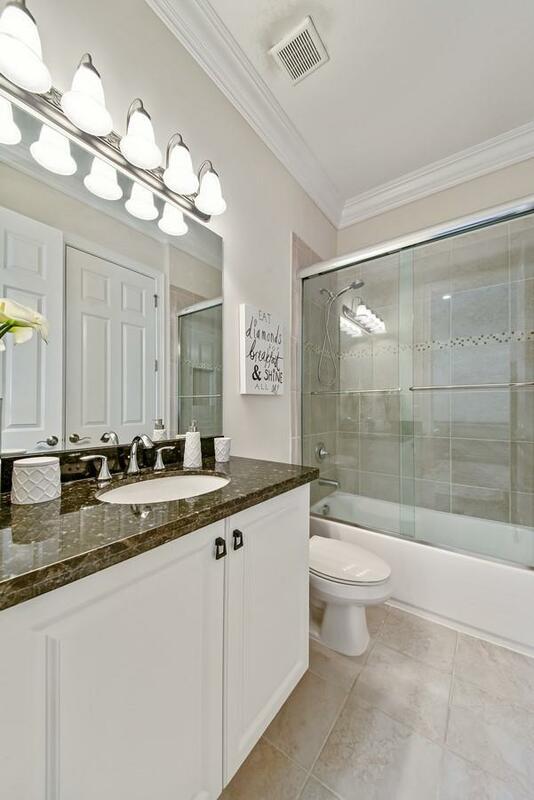 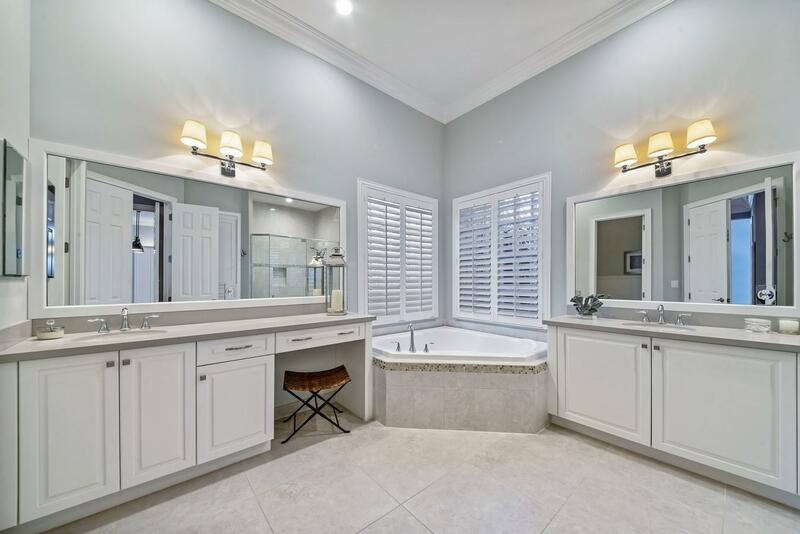 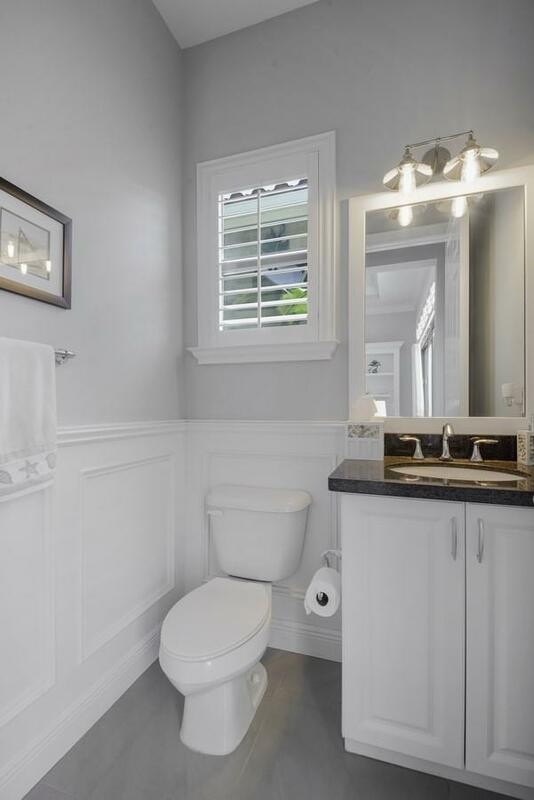 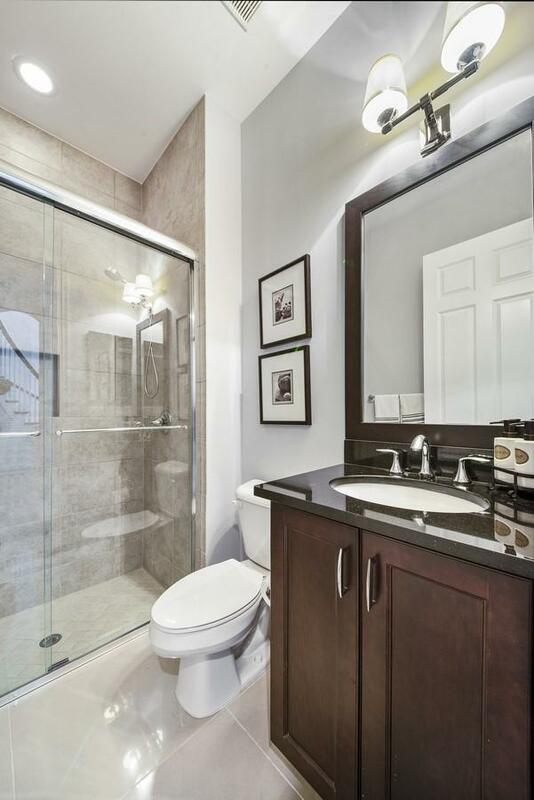 Master bath with dual sinks, soaking tub, walk-in shower, framed mirrors and a custom linen closet. 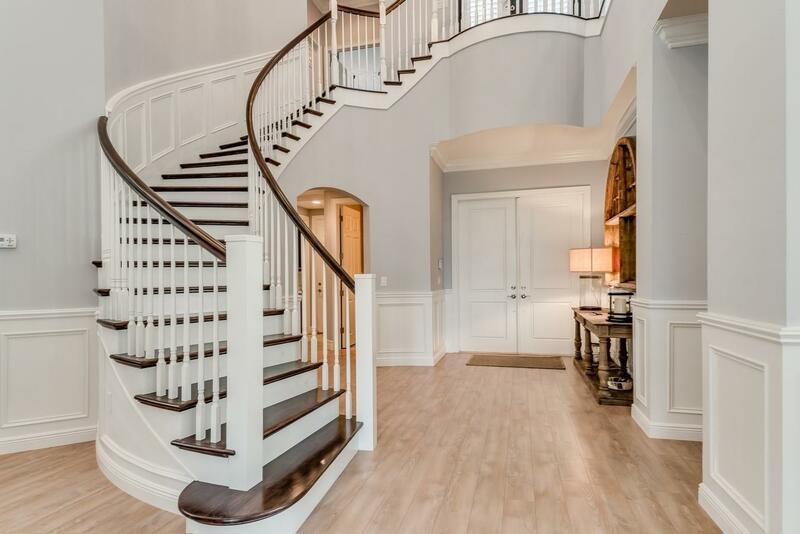 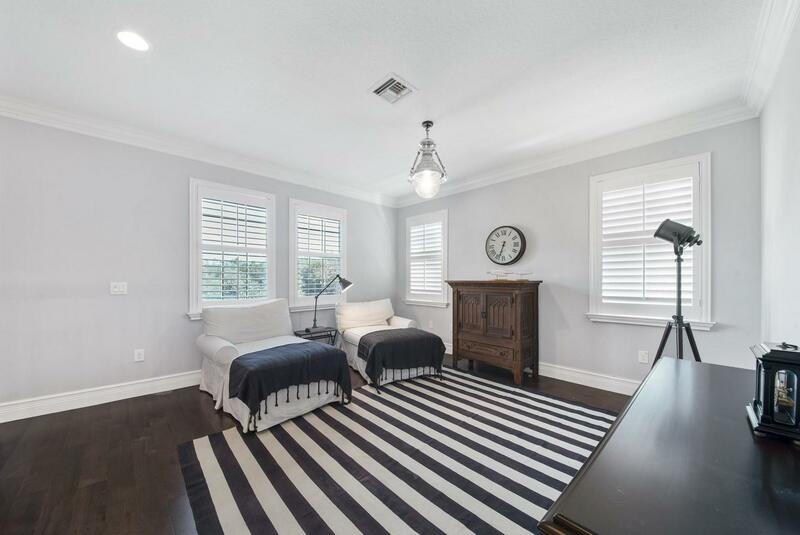 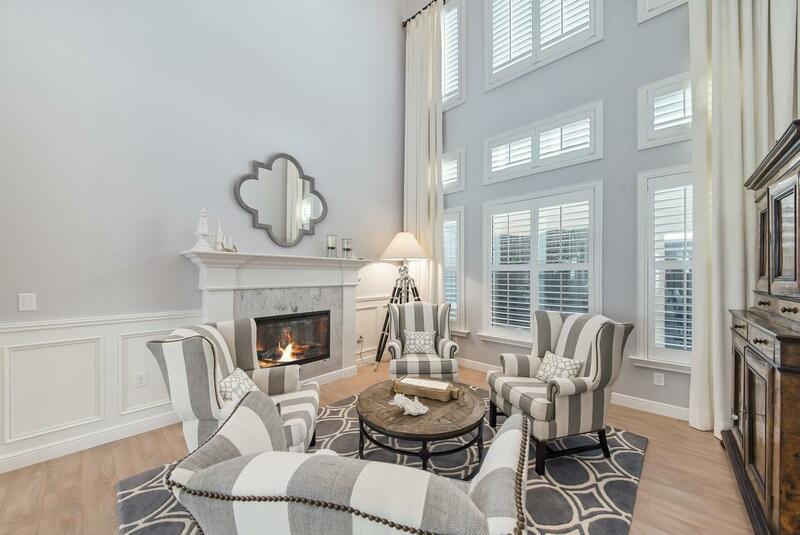 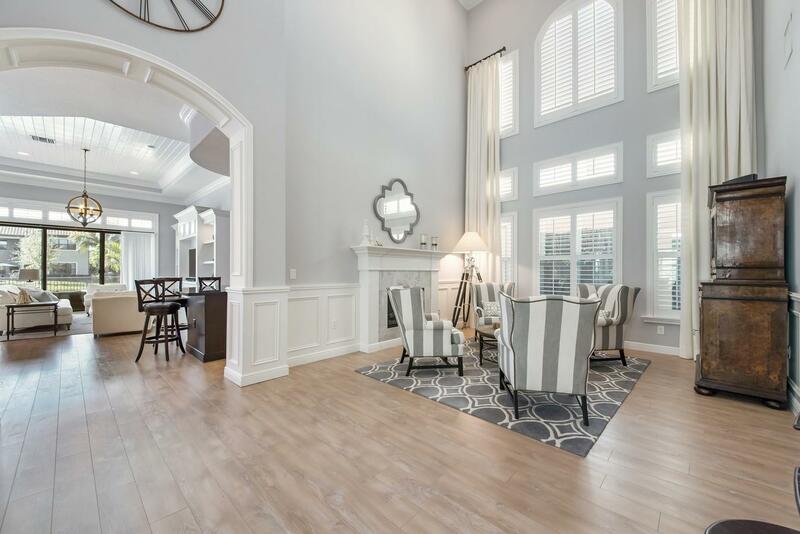 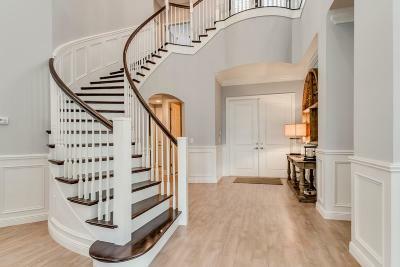 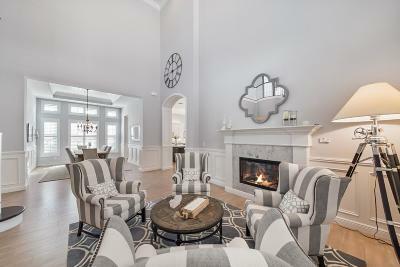 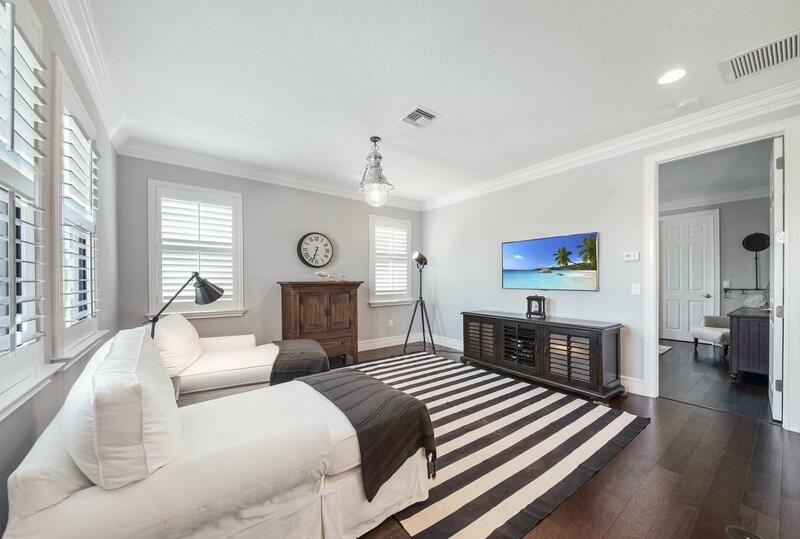 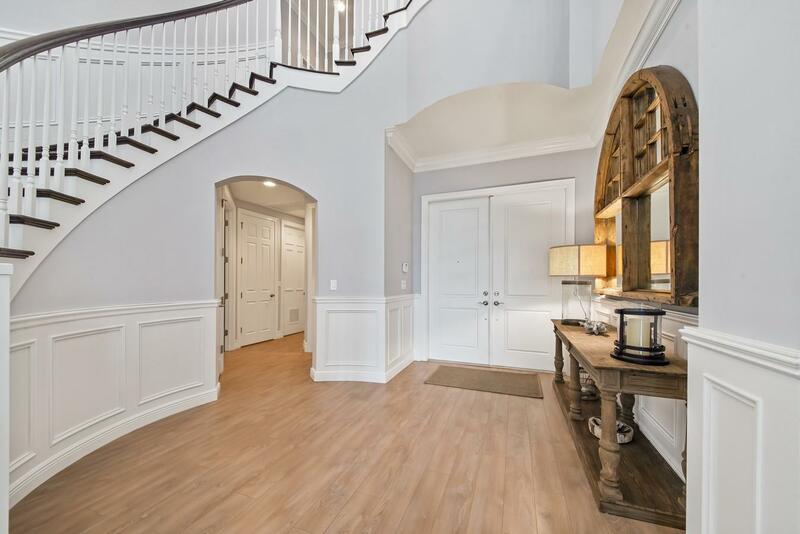 Custom Wainscoting, crown molding, plantation shutters, a fireplace and an outdoor kitchen complete this well-appointed home.